Finding street food in Hanoi, Vietnam is just super easy, but knowing how to pick the very best that the city has to offer, and knowing how to enjoy it as locals do, is a much more complicated task. Hamid, sheds insight on Hanoi’s most iconic dishes, the savoury Bun Cha! Walk for 10 minutes through Hanoi old quarter and you are sure to ask yourself what that amazing smell of BBQ meat is. 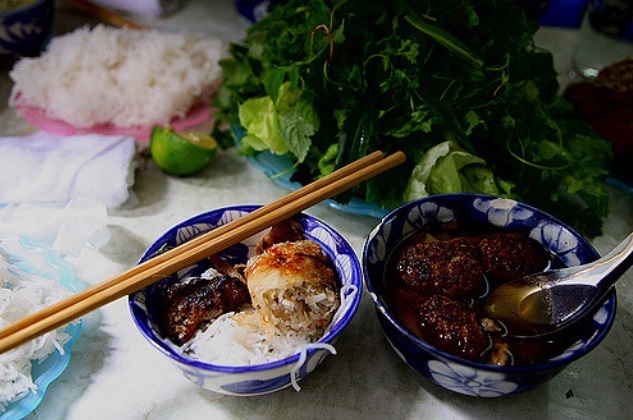 As ubiquitous as conical hats, bun cha is the dish of Hanoi and, once you have tried it, you will be itching for another dose. We at Buffalo Tours are admitted street food addicts, and bun cha is undoubtedly a favorite across the board. Here’s what you need to know about the dish, how to get it, and how to enjoy it. 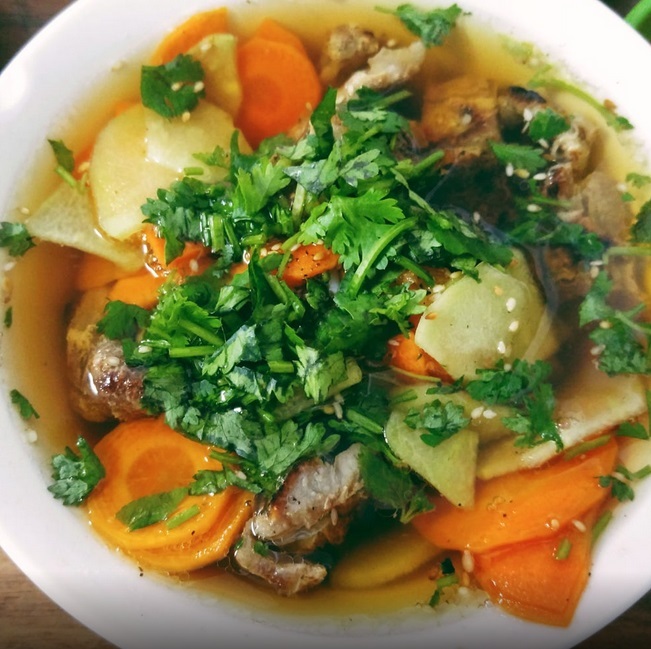 Bun cha is the quintessential Vietnamese dish – simple, quick to eat, mouth-wateringly tasty and surprisingly healthy. ‘Bun’ is the vermicelli noodle and ‘Cha’ is the pork. The pork is typically placed into a metal grate then singed over a charcoal fire before being thrown into a tasty mixture of sweetened fish sauce with thinly sliced papaya and carrots. Add to that a generous side plate of uncooked fresh herbs, and you’re on the road to success. The meal is usually rounded off with a portion of ‘nem’ – fried spring rolls, and a cold glass of tra da (iced green tea) helps to wash it all down. Just grab a seat – don’t wait to be seated. If the place you gonna eat Bun Ch is busy (usually are), then, you may ask the owner to get a seat for you. 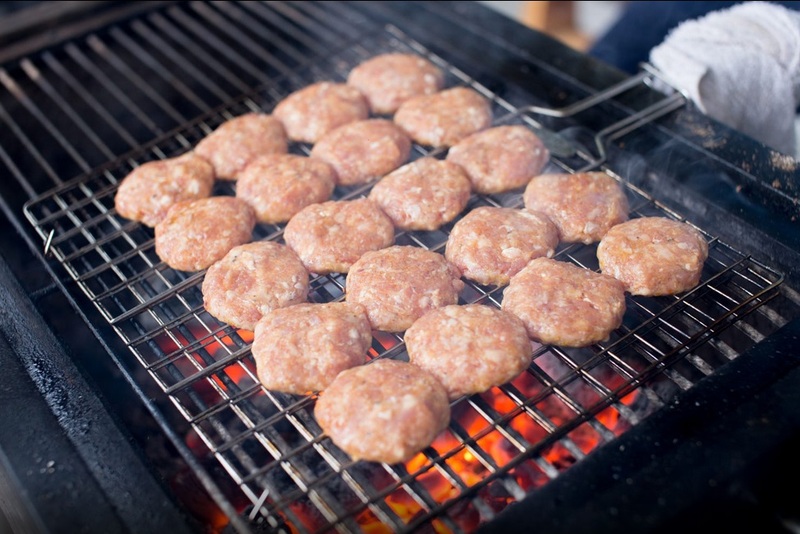 This is street food and things move quickly -so you won’t be waiting for long. Once you have your seat, it’s time to order! How many? One or two? (motor hai) If all else fails, just hold up the right number of fingers. You just need to say bun (pronounced “boon) cha. If you would like fried spring rolls, just ask for nem and use your numbers again. You can also order your drink – tra da, or iced green tea, is a must-have with Bun Cha! The dish comes in three parts – the meat served in the fish sauce mixture, cold noodles on a separate plate and a bowl of fresh herbs. Fresh herbs are a great part of Vietnamese cuisine and add a lot to the flavour. You will soon find your favourite so experiment a bit at first. Add a pinch of herbs to your bowl and some chili if you like a bit of heat. As with all street food dishes, the chili (fresh or sauce) is kept separate so -so it’s only spicy if you make it that way! Tear off some noodles with your chop sticks and dip them in the sauce – don’t try and fit them all in the bowl at once! If you have ordered nem you can also dip them in the sauce. How Much does a Bun Cha cost? Expect to pay between 25,000 – 45,000 VND for a portion of Bun Cha, Nem and a Tra Da. If you want to experience Hanoi’s street food there is no better way than taking a Vietnam tours that includes a street food tour. Starting at 5 PM and your local tour guide will show you the ropes and a whole host of dishes!